Local government is on the frontline of dealing with climate change. 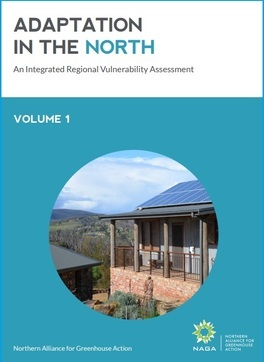 In 2014, we conducted an integrated regional vulnerability assessment to identify populations, infrastructure and assets at particular risk from climate change in northern metropolitan Melbourne. This assessment forms the basis of our regional climate change adaptation plan, Adaptation in the North. adaptation actions required to reduce these vulnerabilities. ​The full report is accompanied by an appendix containing more detailed information about the vulnerabilities and risks faced by NAGA councils.